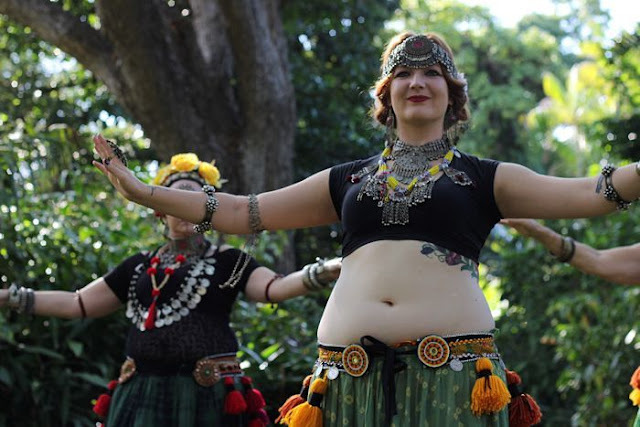 North Queensland will join a 24-hour worldwide belly dance to raise money for Syrian refugees. 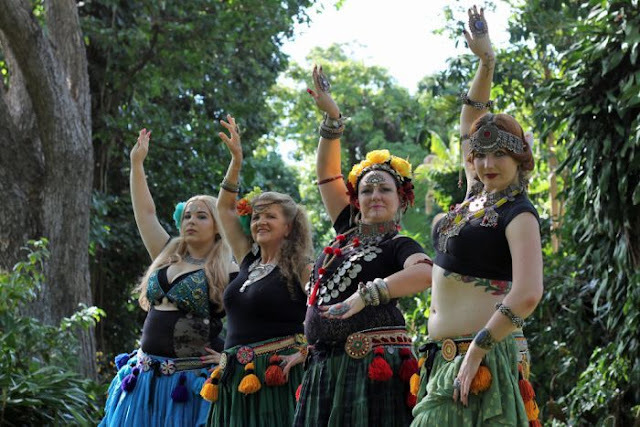 Dancers from Townsville's Nomadica dance group will join others from the US, Canada, Germany and France in the global 'hafla', or dance party. "The idea behind it is that as Western belly dancers, we live in this borrowed culture," dancer Jordan Galliott said. "We use their art, their music, we use it for our own happiness, for our careers... we need to return something." Nomadica dancers perform a style of belly dancing known as 'gypsy caravan' which is primarily improvised, with group members following the moves of the lead dancer. Ms Galliott said each dancer would perform for 30 minutes then tag onto the next person to keep the marathon going for the 24 hours. Even for experienced dancers, Ms Galliott expected the marathon would be exhausting. "I think it will be quite trying, but if it wasn't a challenge, it wouldn't be worth sponsorship," she said. The proceeds of the global hafla will be directed toward the International Rescue Committee for Syrian refugees. Ms Galliott said the situation of Syrian refugees had struck a chord with people worldwide. "We live in these beautiful, comfortable homes and we have it very good here," she said. "You see something like that and you realise the expanse of the world and the expanse of conditions that people live in. "I think it brings out that neighbourly attitude."